Article number: ErgoCocoon Bamboo Jersey 1.0 Tog-Grey Marl-8-24 m.
A mid-weight 1.0 TOG Jersey Sleeping Bag is designed for a little one who prefers a slim fit feel through the body, with plenty of room for the legs. 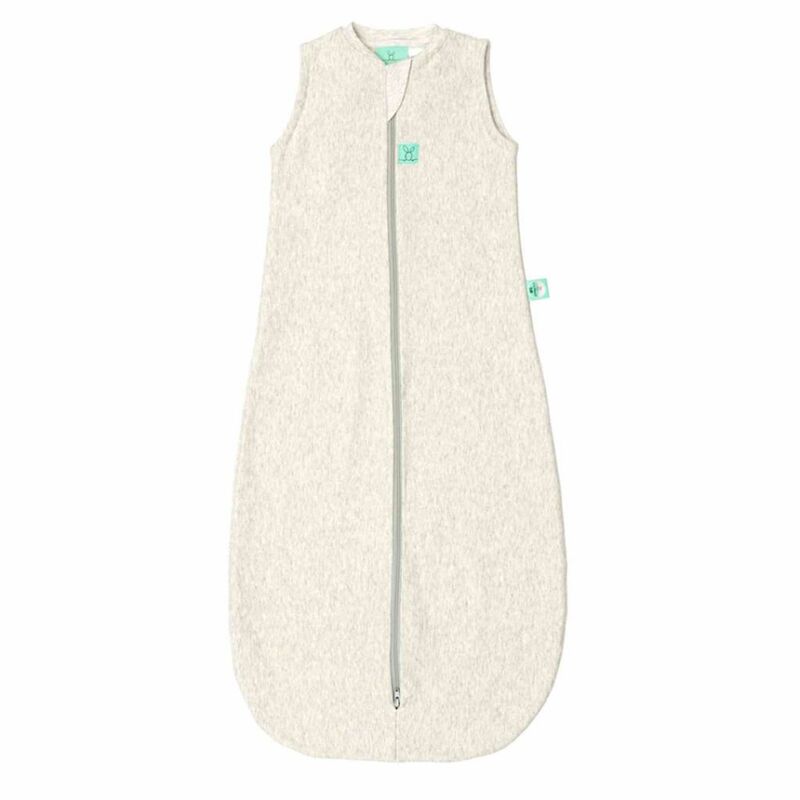 We suggest to use the Jersey Sleeping Bag as the next transition from the Cocoon Swaddle Bag. As a bonus, it’s a budget friendly option that will grow with the child up to 24 months*. Jersey Fabric – a breathable, lightweight and low maintenance fabric that is knitted in a way to allow for stretch in all directions. Similar to your standard t-shirt fabric. Super Stretchy – allows for growth spurts, full chest expansion and a very comfortable bag for your baby to sleep in. From Bamboo – this fabric is incredibly soft, light and skin friendly. It promotes breathability, prevents those sweaty feels and creates longer sleeps (hooray! ).